When Cambridge city officials recently considered new zoning rules that would have blocked larger buildings in the Riverside neighborhood near Central Square, Jesse Kanson-Benanav leaped into action. He blasted out an e-mail to the 700-member mailing list of A Better Cambridge, a four-year-old civic group he leads, urging them to show up at a hearing or write letters to the city’s Planning Board, and argue against the rules. It worked. The Planning Board rejected the zoning change. The rules in Riverside stayed the same. It was another small victory for Kanson-Benanav, a self-described YIMBY — that’s Yes In My Back Yard — activist in Cambridge and part of an embryonic movement of regular people pushing for more housing. They’re grass-roots, with no funding from developers, and try to counterbalance “not in my back yard” NIMBYs. His group argues that more smart housing development is the only way to retain a middle class in pricey cities like Boston and Cambridge. And as cities across the country wrestle with surging housing costs, the YIMBYs are organizing nationwide. Just last week, Kanson-Benanav went to Colorado for YIMBY 2016, the movement’s first-ever national conference. We caught up with him when he got back to Cambridge. 1. 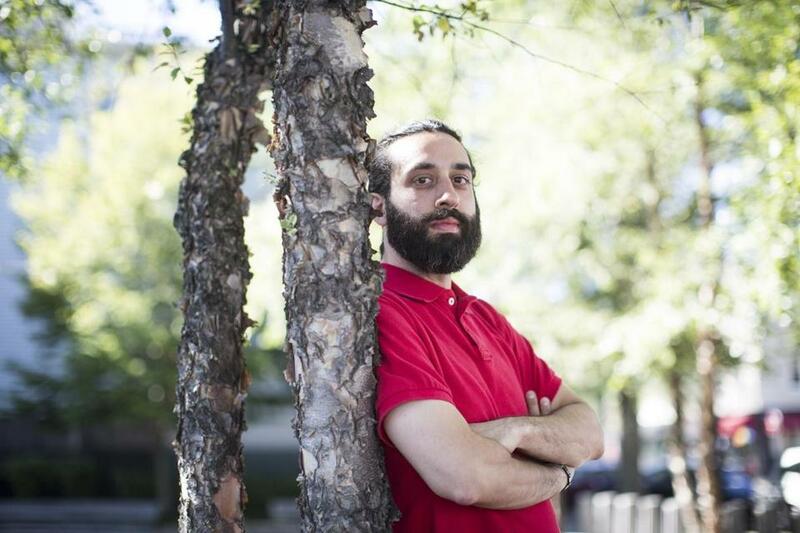 Kanson-Benanav, 35, is a housing expert with a political background. He grew up in St. Paul, the son of a City Council member who lost a 2001 race for mayor by 403 votes. After college, he moved to Boston to become a community organizer, and wound up working on housing issues with the nonprofit Somerville Community Corp.
2. He went to Massachusetts Institute of Technology for a master’s in urban planning. Then he spent three years consulting with public housing authorities, and three more at a big nonprofit housing developer before returning earlier this year to SCC, which develops projects as part of its efforts to promote affordable housing. But A Better Cambridge has no ties to developers, and leans as hard on builders to construct high-quality projects as it does on City Hall and neighbors to allow them. 3. Community organizing may be a young person’s game, but neighborhood politics favor the settled. And young renters who face getting priced out of town are, by their nature, a transient bunch. It can be hard to build a strong movement. 4. Kanson-Benanav is a renter. So like most renters, his future is a little uncertain. Despite two professional incomes, he and his wife can’t afford to buy in Cambridge, so they’re reliant on their landlord, who keeps the rent low to keep good tenants, to keep their place in the city they’ve come to love. 5. While he was at the national YIMBY conference in Colorado last weekend with dozens of like-minded activists from cities nationwide, one thing struck him: They weren’t all stereotypical urban liberals.